Approximately 3 cups fresh blackberries. 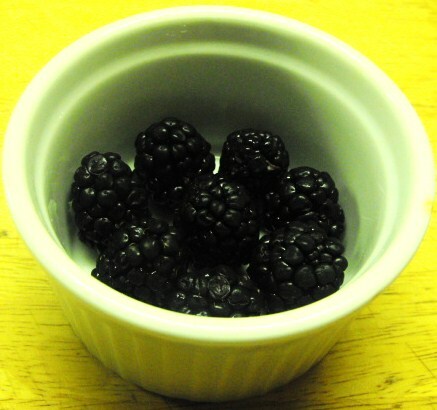 Arrange blackberries in the bottom of 6 custard cups or 1/2 cup ramekins. Mix together flour, sugar, salt, vanilla, lemon zest, and eggs. Melt butter and whisk in very well. Blend in milk, stirring well to prevent the formation of lumps. Pour the custard mixture over the berries in the ramekins. Bake in the center of the oven for 25 minutes or until knife inserted in center comes out clean. Dust with confectioner’s sugar. May be served chilled or warm. Note: Makes 6 Servings. 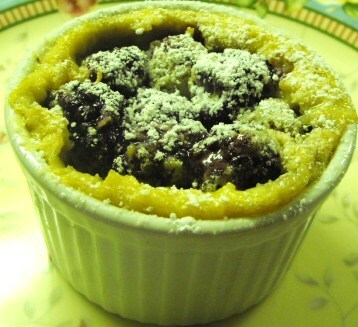 The clafoutis may be baked in a casserole dish rather than in individual servings but the cooking time may need to be increased. Cook until it is done in the center.